Hello, there, and happy Monday! Wow, it has been a gorgeous weekend in Missouri! Today is no different. The sun is shining, and the birds are chirping....sounds and feels like an April day. Ha ha, I keep wondering what might be around the corner for us! 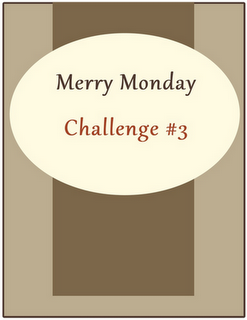 Today, I have a card for the Wednesday Challenge at the All That Scraps blog. The challenge is to use blues, browns, and tans, and of course, stamps that can be purchased at All That Scraps. I thought that Coffee Birgitta, an adorable digi image, would be delightful done in these colors. Hope you like it! CS: BoBunny, DP: Simple Stories, Generations, Image: C.C. 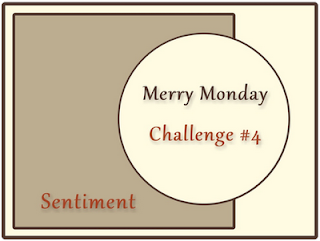 Designs Coffee Birgitta, Sentiment: Amy R. Designs, C.C. Designs Leafy Branch Punch, C.C. Designs Phlox Flowers Die, Martha Stewart Border Punch, Kaiser Craft Pearls, Copic Markers, Jute, Dimensional squares (Michael's), Stampin'Up Jewelry Tag Punch, and Spellbinder Dies. Hope she brings a smile your way today! If you have any questions about how this card was created, please let me know!!! I have a lot going on this week, so posts will be very short and sweet. I'll fill you in on all the details next week! Also coming next week is another photo tutorial! Thanks for stopping by - have a wonderful day! I want to take just a moment to wish our DD a very, very Happy Birthday! DD, if you are reading, we hope that your day today is filled with blessings! We love you very much. and immediately thought of this stamp set, and the A muse gingham CS. Supplies: DCWV Black CS, A muse Gingham CS, Gina K. Designs Pure Luxury White CS, Gina K. Designs, "Close-Knit Friends" stamp set, Copic Markers, Stampin'Up! Ticket Punch, Zig Pen (faux stitching), dimensional foam (Hobby Lobby). I am normally very freaked out by the thought of making a CAS card, but I think this one actually turned out pretty cute! My dear mom used to crochet, and used to have such pretty yarns! I'm not sure who stole the month of January out from under us, but it's nearly gone! I've had such fun creating with Melanie Muenchingers stamp set, Stately Flowers 2. This is my last post as Melanie's guest designer, but I will be using this set often! Along with a card using the Goldenrod images, I have a photo tutorial for you, sharing the process used for the card. I haven't done too many tutorials, so please feel free to contact me if you have questions about anything shown below. Start with white panel and Brushed Cordoury Distress Ink. Using foam dauber, and a circular motion, sponge entire panel with ink. I always work on my craft mat. Start your cirular motion OFF the page, bringing it in toward the center for better results. Next, use the same technique with Rusty Hinge ink, but keep the sponging toward the outside edge of the panel. Choose the smallest Goldenrod image from Stately Flowers 2. Begin stamping with Rusty Hinge, around all four edges of your panel. Next, choose your sentiment and the largest Goldenrod image from Stately Flowers. Place them on your block where desired, and stamp them on the plastic sheet using a guide. I love the Stamp-a-ma-jig for this. Once stamped on the plastic, it is easy to align your Stamp-a-ma-jig for stamping on your panel. 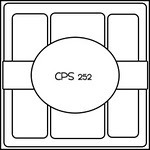 Once stamping is completed, mat your panel onto your choice of cardstock. I chose black. Next choose another panel for background. I chose a black and white tiny gingham check. Cut a piece or ribbon long enough to secure on the back of your background piece, and adhere. It will look like this. Once ribbon is secure, adhere this panel to card front. Turn focal panel over, and adhere dimensional foam. Add focal panel to card. Tie a knot in a scrap of ribbon, and adhere to panel with glue dot. I have one more card to show, using the single flower Missouri Hawthorne stamp. Let me know you need any information on how it was created. I think it's probably pretty self-explanatory. Supplies: GKD Pure Luxury White CS, Pink Bazzill CS, Scor-Pal, Copic Markers, Spica Glitter Pen (for dots on score lines), Baker's Twine (Really Reasonable Ribbon), Memento Tuxedo Black Ink, Martha Stewart Border Punch (inside of card). Ugh...what dreary, dark, and dismal weather we have had today! Great day to be a recluse! Hope you are all doing well today, and staying warm and dry. BoBunny DP, Snowfall Collection, Image and Sentiment from Doodle Pantry, Marvy Snow Pen, Copic Markers, scissors and scalloped scissors. Short post, I know, but that's all I have for you today! I'll be round this evening to see what you've been up to! Hope that your day is going well. In Missouri, the sun is shining (temporarily, I'm told), there is no wind, no icy, snowy precip, and temps are mid-forties. Ahhh.....life is good! I have a card to share today, that I actually made to enter a couple of challenges. I know, don't faint! I've not been doing so well at that lately! I'm entering the Impression-Obsession challenge, "Oldies but Goodies". 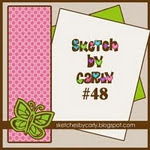 I chose to use this fun and fabulous Sketches by Carly sketch #48.and will enter the challenge there, as well. The funny thing about this card, is that a couple of challenges ago, at Impression-Obsession's blog, the challenge was "Pink". So, believe it or not, this image was stamped, and colored in RV 06 Copic marker. As you know, that is a nearly glow in the dark pink color! This challenge is "Oldies but Goodies". We are supposed to use an older I-O stamp. 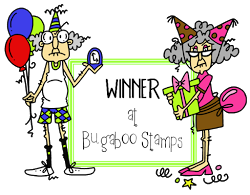 I wasn't sure which of my stamps were 'older', so decided that I'd just try to make it LOOK like an older stamp...ha ha ha. So, here you have it - my Oldie but Goody! When all else fails, pretend that you know what you are doing and folks will believe you do!!! Have a great day - thanks so much for stopping by today! I'll be back tomorrow with a cutie from Doodle Pantry, and on Thursday, I'll have my final project using Melanie Muenchingers fabulous Stately Flowers 2 set. Hope to see you again soon! Food for thought: We can't do too much about our ancestors, but OMG, how we can influence our descendants!!! Brrrr....it's cold, very overcast, and drizzling what I'm told is to be freezing rain here. Hope you are warm where you are! I have a card to share today that features a fun image from Doodle Pantry. Meet the Snow Birdies....aren't they just too stinkin' cute? And what a quick card. This is one of Laurie's already colored images, so all I had to do was print and create! I hope it qualifies for a Christmas card. We have some people on our recipient list that don't celebrate the holiday, but we still enjoy sending a card, so this will be THEIR Christmas card! Don't forget - you still have a few days to enter the Doodle Pantry Challenge! Each participant in the challenge will receive the adorable "Workout Birdies" set free! Thanks for dropping by! I'll be back over the weekend sometime - my MRI is finally scheduled for tomorrow morning! Woot woot. Have a great weekend, dear friends! Good morning, and Happy Thursday! If you are where that snow is, brrrrr...........keep warm! We went from 68 degrees one evening, to tornado warnings in the night, and 14 degrees the next morning here in Missouri. Mother Nature certainly enjoys surprising us!!! I'm here today to share a card created with another fabulous image and sentiment from Melanie Muenchinger's set, "Stately Flowers 2". This is my third week of working as a guest designer. It's been such a delight, working with Melanie, and her stamps, that I hate for the month to end! This time, I chose to use the Camellia. I think it is so beautiful to work with. Each petal is so well defined, that I decided to color the image on the CS itself, and then three additional times, so that I could fussy cut and layer the flower for dimension. All coloring with Copic Markers. Ribbon is May Arts. Pearls are ZVA. Line is drawn with a Zig Writer Pen. Card base is Kraft CS. Card front is TAC Birch. Here is a shot from the side, showing all four layers of flower. I only layered the leaves twice, again, hoping that the flower would pop. I simply can't believe that my month with Melanie is nearly over! Time really does fly when one is having fun! Rest assured that I will be using this wonderful set over and over! See you again next Thursday! 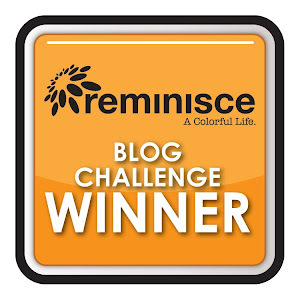 The winner from my blog, of the new release templates from the Creations by AR Blog Hop is: VIDETTE !!! Congratulations!!! Please email Adela: creationsbyar at sbcglobal dot net to claim your templates! Thanks for stopping by! Hope life is treating you well. Don't forget to count those many blessings! Creations by AR Blog Hop! So happy that you stopped by today. You are in for a real treat! Today is my first post as member of the Creations by AR Design Team, and we are having a Valentine's 3-D Hop! The AR girls all have wonderful projects for you to see. Each designer will be giving away BOTH of the new release templates, so be sure to leave a comment on each post, for a better chance to win! 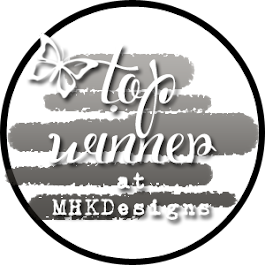 Winners will be announced on each designer's blog on Thursday, January 19th, so be sure to check back then! I have creations to share today, using both of the new release templates. First up is the Shadowbox Frame Set. Oh my goodness - what fun this was! I used Kraft CS, and some fun DP from My Minds Eye, a few embellishments, and a photo of DD and her fiance. This darling little frame came together so quickly! Can't you imagine this frame with balloons and a birthday photo, or seashells, or Christmas pretties??? If you have questions, feel free to ask away - I'm going to try to keep this post short! I chose to fill my little purse with a fancy candy for Valentine's Day. However, can't you just imagine putting a note inside, or a gift card? This would make the ca-utest shower favors!!! Guess what - I have NO cutting machine! It's me and my sharp scissors. If you have a cutting machine, I can't even imagine how quickly you could work with Adela's fabulous templates! If you create with these templates, please let us know - we'd love to see YOUR beautiful projects!!! I've been lucky enough this week, to have created once again, using Melanie Muenchinger's newest set, "Stately Flowers 2". What a beautiful set of stamps. I'm going to keep this post short so that you can enjoy Melanie's beautiful flowers! First up, is an easel card that I created, using the Goldenrod stamp. The image was stamped directly onto a page from an old book, and colored with Copic Markers. I had planned to do some distressing, but this matched the DP from Authentique better. This is one of those strange cards that does not photograph well, but looks so pretty in real life! Stamp: Stately Flowers 2 by Melanie Muenchinger for Gina K. Designs. 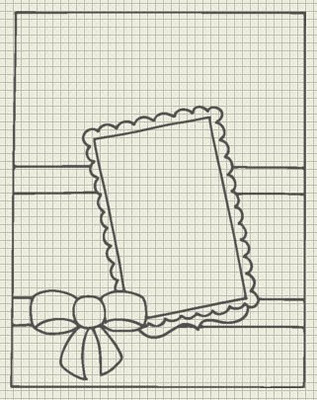 DP: Authentique Gathering, Ribbon: Stampin'Up! Ivory seam binding. Easel card showing front open. The sentiment is from the Stately Flowers 2 set. EK Success Corner Punch was used in lower corners, and 2 Pearls from Kaiser Crafts was used on sentiment piece. DP is Authentique's Gathering. I also have a gift card box to share. This is an amazing template by Adella Rossol of Creations by AR. The image was stamped directly onto white GKD Pure Luxury CS, and colored with Copic Markers. The sides only on the white panel were adhered, leaving room for a ribbon to slide through. 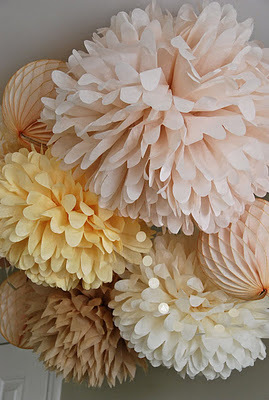 Image: Stately Flowers 2, DP: Authentique Gathering, Ribbon: May Arts, CS: Kraft, & GKD Pure Luxury Layering Wt. Now, look how cute it is when it's opened up! 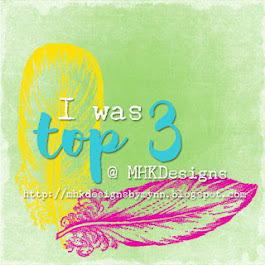 I hope you spend some time over at Melanie's blog this week, looking at some of her guests' designs, and of course, her own. You will certainly want to add this beautiful stamp set to your collection! She even has the results of my Q & A session posted, if you are curious!!! I'll be back next Thursday with some Camellia's! I also have a bit of very exciting news! Creations by AR is one of my favorite sites to visit and shop, and I'm proud to say that I am the newest member of their Design Team! Thanks to Adela and her fabulous team for having me. Tune in next week, on Jan.17th, for a new release blog hop! Take it One Pound at a Time! It seems like just about anyplace I see on the weather maps are showing above average temps for January. Hopefully, you are enjoying some time outdoors! Many of the blogs I have visited are talking about losing those extra 'holiday pounds"! Well, folks, Laurie's little Workout Birdies from Doodle Pantry have some great advice for us all! They say to take it one pound at a time! Good advice, right? I couldn't wait to work with these sweet birds! However, working with ANYthing since 12-29 has been a real challenge. Some of you may remember me being down with a 'sprained ankle' last July. Well, I somehow managed to re-injure this ankle, and have been iced and elevated for days! The majority of my crafting is being done from the recliner chair, which makes working with these darling birds even MORE fun! I used the pre-colored image, so it was literally a matter of getting everything lined up on my screen, and pushing print (I have a wireless printer). I trimmed the white piece to actually fit over the card itself. I didn't stay on my feet long enough to photograph the back, but the white piece overhangs the back by about 1.5" and has a cute border punched on the bottom edge. See? Doodle Pantry provides safe, armchair crafting! How would you like to get this set.........for FREE??? 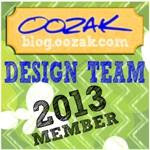 Just enter a card/project in the challenge at Doodle Pantry Blog, using any Doodle Pantry image. Laurie will e-mail you the set free! You can find all the details here! If you don't have any DP images, there is a link on the store page where you can go to get Freebie images to enter with! See you at the challenge! Thanks for stopping by today, and for being so patient with my posting (or lack of!). I have an MRI scheduled for next Friday, and an appt. with an Orthopedic Surgeon the following Tues. My doc is suspecting a torn Achille's Tendon, rather than a sprain. I'll keep you all posted. In the meantime, Happy Stamping!!! Food for thought: A true friend is one who never gets in your way....unless you happen to be going down! Here's hoping that you are off to a wonderful 2012! Ours has started off very well. I have a wonderful treat for you this morning! Today's card features the Missouri Hawthorne, from Melanie Muenchinger's new release, "Stately Flowers 2". Melanie is an illustrator for Gina K. Designs, and I'm sure that you've seen many of her beautiful sets at the Gina K. Designs Store. If not, it's certainly worth the trip! In addition to her illustrations for Gina K. Designs, she is a wonderful wife and mother. I'm a long time follower, and it's always fun to check out Melanie's Blog to see what's happening in her family! I was very pleased and honored when Melanie invited me to guest design with her new set this month. Seeing as I'm a Missouri gal, it made it even more special to be asked to work with this particular set! Thanks Melanie, for asking me! This card began with a base of Bazzill Dotted Swiss Cardstock. A z-fold was created, by scoring in the exact center, then in the center of the card front. 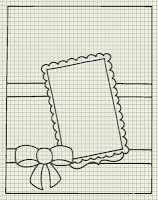 Using a Martha Stewart Border Punch, and some Gina K. Designs Digital Paper, a border was created at the bottom of the card, on both the inside and outside of card. The rest is pretty self-explanatory, but if you have questions, please feel free to ask! Supplies: Bazzill Dotted Swiss CS, Pale Pink CS scraps, Green GKD Cardstock scraps, Copic Markers, Circle Nestability Dies, Pearls (ZVA), Floral Frenzy Digital Paper Pack, Spica Green Glitter Pen for 'doodling' on edge of circle, Glossy Accents (flower centers), Recollections Dimensional Squares (popped up two of the flowers on the front, for dimension), Scor-tape. I almost forgot to mention - our friend Melanie is also an author!!! Her first book, "A Year of Flowers", was recently published, and is available at Annie's Attic! With this book, you can create 36 beautiful cards for all occasions, and are organized by month and holiday! Detailed, step-by-step instructions and photos make it easy for crafters of all experience levels to enjoy making beautiful homemade cards! If you have Melanie's "A Year of Flowers" Stamp Set, you can easily copy any of the cards in her book. If you don't have the set, you can, of course, use Melanie's designs, and substitute any floral stamps that you have on hand. Thanks so much for stopping by! Enjoy the rest of your week - it's almost Friday! I'll be back next Thursday to showcase another of Melanie's beautiful Stately Flowers 2. Hello, and Happy New Year! I hope that you all enjoyed a safe and relaxing New Year's Eve. We went to dinner with some friends, then returned to their home for a guys vs. gals dominoes game. Needless to say, I'm MUCH better at crafting than at dominoes. As today is the 1st of the month, it's New Release Day at Doodle Pantry! Laurie is ringing in 2012 with some wonderful new releases, and after a full month off, we are all refreshed, and ready to create again. My card today features the new set "Love Birdies". This is another one of Laurie's fabulous Pre-Colored images, so I literally printed, cut, and assembled this card. Clean and Simple, for sure! This shows the card fully closed. This shows card with only the front panel opened. Card with front upper panel AND two little gatefold panels opened. I found the tutorial for this adorable 'Double Dutch Fold' card, by Patty Bombyk on the Splitcoast Stampers Weekly Inkling #292, and knew it would be perfect for this card. I hope you will give it a try! Don't forget - you can still take advantage of the Doodle Pantry Year End/New Year sale through January 2nd. You will get 50% off of all digi images! Just type RINGITIN in the coupon field at the bottom of your cart page. When you click SUBMIT, the discount will be applied to your order. You can then proceed with checking out. Also, Love Snakes, one of January's fun New Releases, is FREE with any purchase! 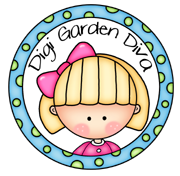 The new challenge at the Doodle Pantry Blog (DPDC19) starts today! All you have to do is create a project using any Doodle Pantry image, and enter it in the challenge. ALL participants in the challenge will receive the adorable 'Workout Birdie' set. Deadline for entering the challenge is 8:00 p.m. Central time on January 24th.-hope to see your beautiful creations! Thanks SO much for stopping by. Enjoy your day, and tomorrow too, for those of you lucky enough to have that day off work.